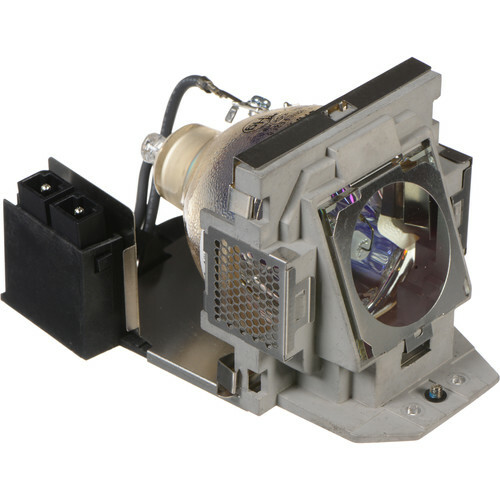 The Replacement Lamp for the BenQ SP870 projectors is a 360W lamp with an average life of 2000 hours in Normal Mode and 3000 hours in Eco Mode. It is capable of producing 5000 ANSI lumens. Box Dimensions (LxWxH) 7.0 x 6.5 x 4.6"
Replacement Lamp for SP870 is rated 5.0 out of 5 by 1. Rated 5 out of 5 by Pasadena Wedding Video from This is the real deal Originally, I had purchase an off-brand replacement lamp for a third of the price. Unfortunately, it also had a third the brightness of the original. This lamp went in and we are back in business. Bright, clear, and (I expect) will last a good long time.